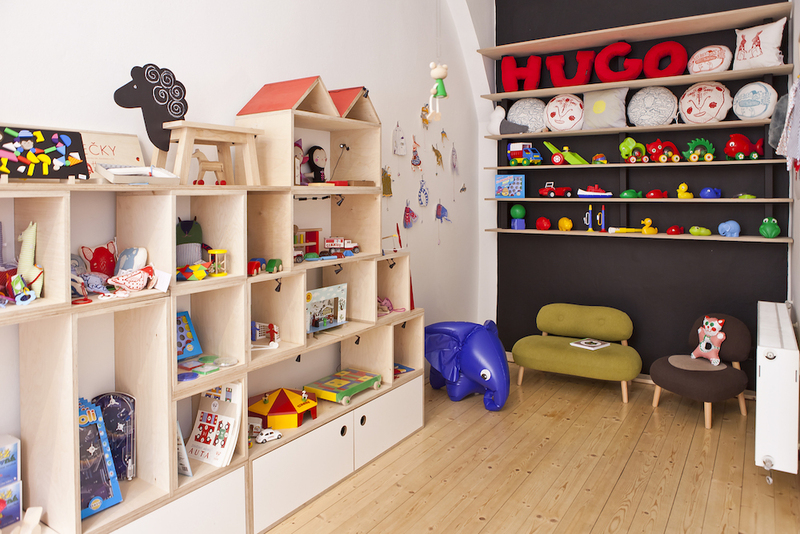 Hugo chodí bos is a lovely toy store with authentic things made by Czech designers. The name of the store is an ingenious word-play that reminds of a famous brand and is translated as Hugo walks barefoot. Сzech toy handicraft has long tradition but not until lately wasn't much present in the shops. That is what motivated the owner of Hugo chodí bos to set out on a trip around the Czech Republic to pick the best toys from local manufacturers that would meet her demanding criteria. Now you can see the result of this hard work in a small but cozy shop in Řeznická street. All the toys are at all stages produced in the Czech Republic, have all the necessary certificates, are attractive, funny, made from quality materials, encourage kids' curiousity and help them to develop. If you want to bring home something made locally with respect for the environment and at the same time support Czech handicraft you can buy some ingenious souvenirs here!